80 Day Obsession Program Bundles are HERE!!! My Prepare to Be Obsessed challenge group has been LOVING A Little Obsessed and we are so pumped for 80 Day Obsession!! We are READY. I am absolutely so excited for this program to be released. I know its going to transform my mind, my body and we are all going to realize that we are capable of getting the most amazing results. Our prep week begins 1/8 and we will be diving into the nutrition plan for one full week before we start the workouts. Check out my blog post on 80 Day Obsession for some basic information on the program. Autumn really breaks it down with this program. It focuses on your abs and booty. Even if you have weight to lose you are going to shed lbs, build lean muscle and you are going to tone your entire body. There are 3 phases of workouts over the course of 13 weeks. In total there are 97 days in this program because Sundays are a rest day. My 80 Day Obsession accountability group will be starting workouts on January 15th. I’m going to help you out with the timed nutrition, designing meal plans, sticking with your workouts, troubleshooting, and focusing on YOURSELF! What Are The Package Options for 80 Day Obsession? The only way to get the best results is to feed your body with the best fuel you can give it. 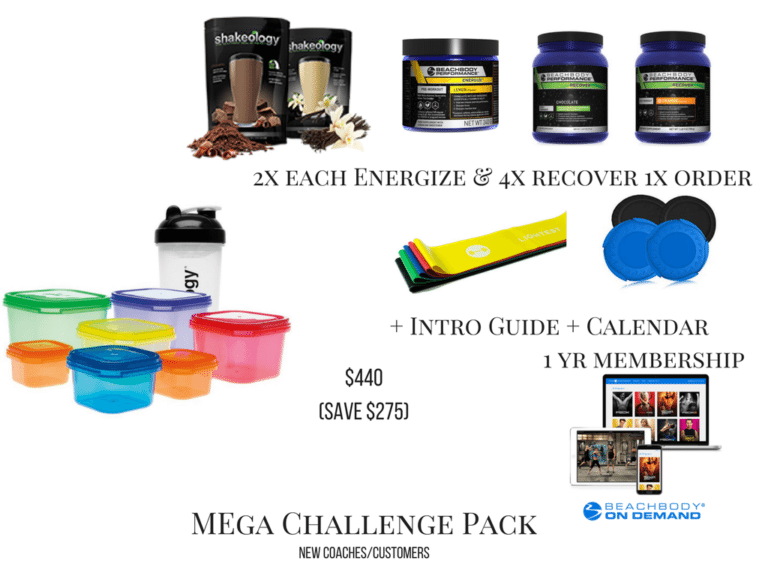 This challenge pack includes everything you need for the entire duration of the program – plus you save $275. If you are wondering why you need the performance line, keep reading! You will be SORE and you will want to refuel with the Beachbody performance line because they are QUALITY supplements and they will replenish you body afterwards to maximize your results! I have been drinking Energize for the past 2 years every morning 15 minutes before I press play and it really does give me a boost to be able to crush my workout without the jitters. After your workout, within an hour of finishing you will drink Recover to help EASE sore muscles and to replenish what is broken down during the intense workout. Are you ready to get this party started? 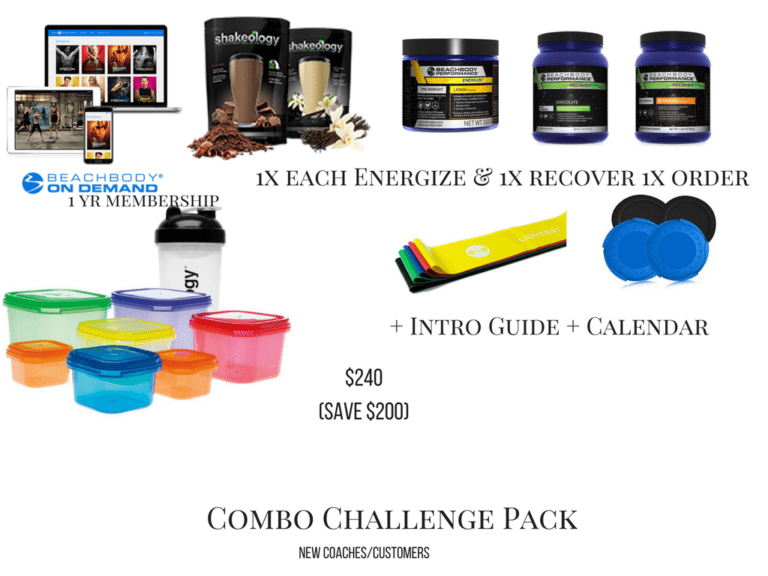 This challenge pack includes everything you need to start out the program. And you get to save $200! The difference is if you just want to try out Energize and Recover for the first time you get a 1x order vs. enough supplements for the entire program. This is the mother of all packages! It seriously offers the best value. You get everything you need for the program (assuming you already have BOD) AND you save $205. If you are about to expire your Beachbody On Demand or you don’t have it —> Check the packages above!!! 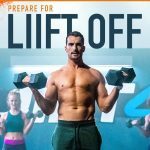 Beachbody is offering a pre-launch discount! If you order your 80 Day Obsession challenge pack between December 14th and January 14th, you’ll automatically get $10 off! 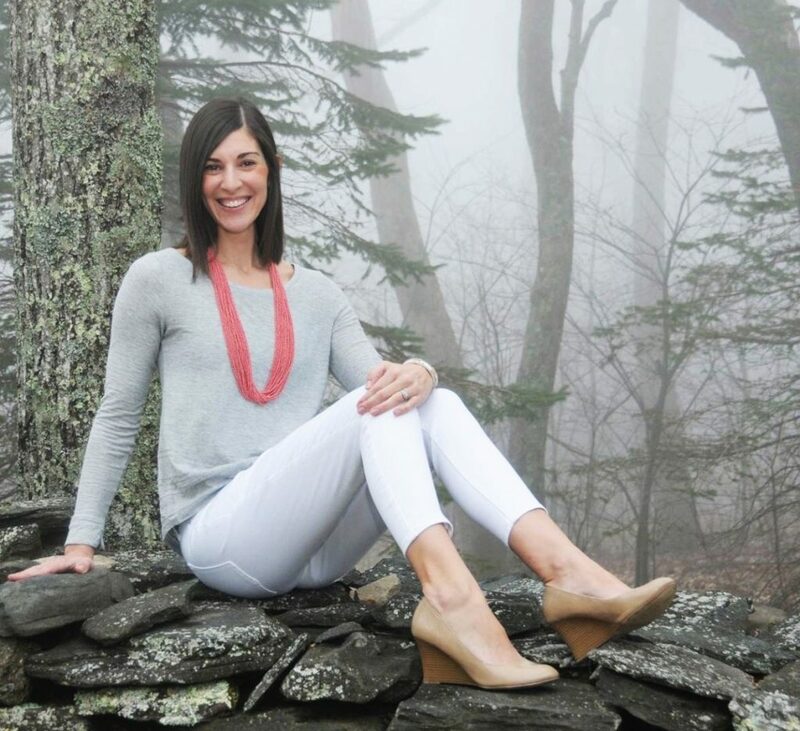 Sign as a COACH and you will also gain access to an exclusive test group with 80 Day Obsession creator Autumn Calabrese. WHAAAATT??! 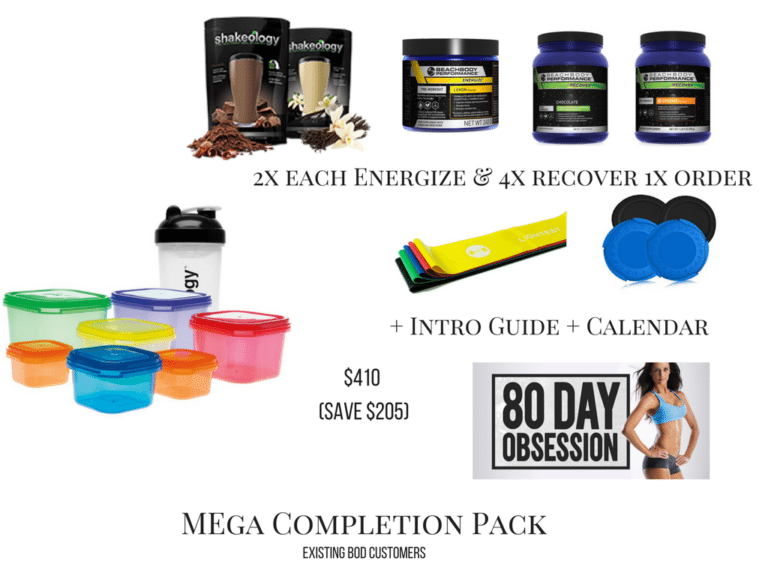 80 Day Obsession Prep Group – Join NOW! ← 80 Day Obsession Prep Group – Join NOW!